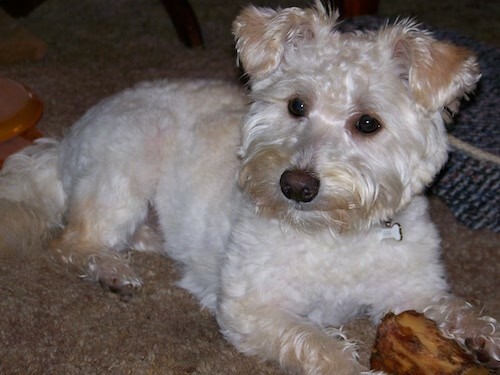 "My name is Mia and I am a 9 month old white with a little apricot Westiepoo (West Highland and Poodle mix) – I love playing with my toys, chewing on my bones and cuddling with my mom. I am a great guard dog too. I may be small, but I am mighty!"